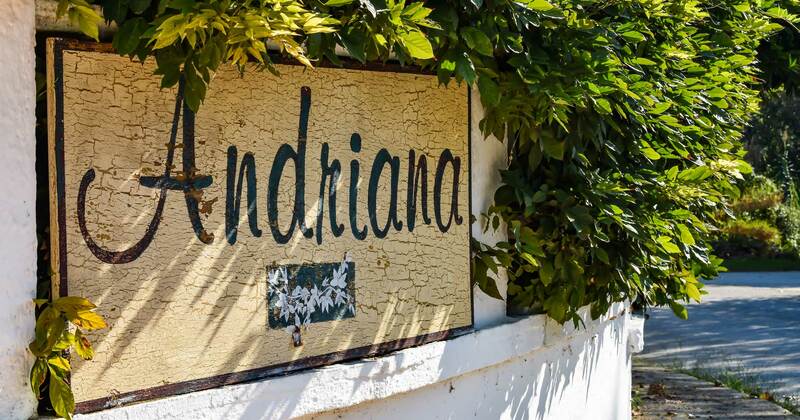 If you are coming to explore the island of Corfu or just to relax and enjoy the glorious sunshine, Andriana Apartments is the perfect place for your holiday. 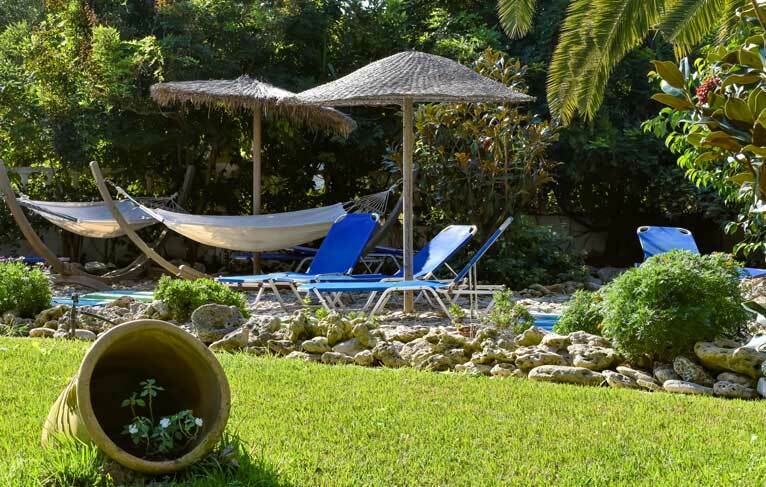 Our apartments are nestled within beautiful grounds, just a stones throw away from the beach. 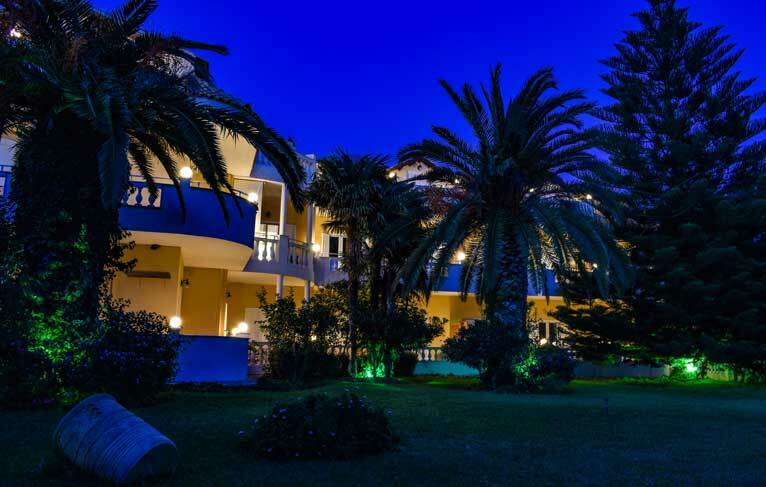 We are situated in the resort of St George, on the South West coast of Corfu. 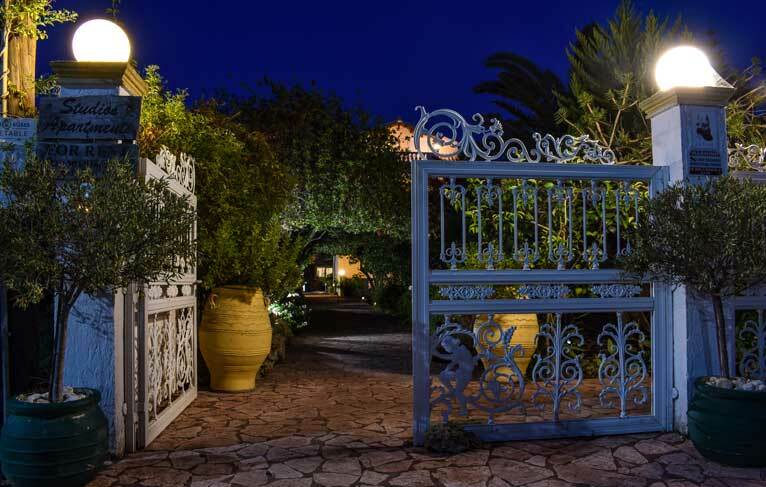 The resort has the finest sandy beach on the Island which is virtually endless, with a mix of great restaurants, family friendly bars, and a sophisticated night life. 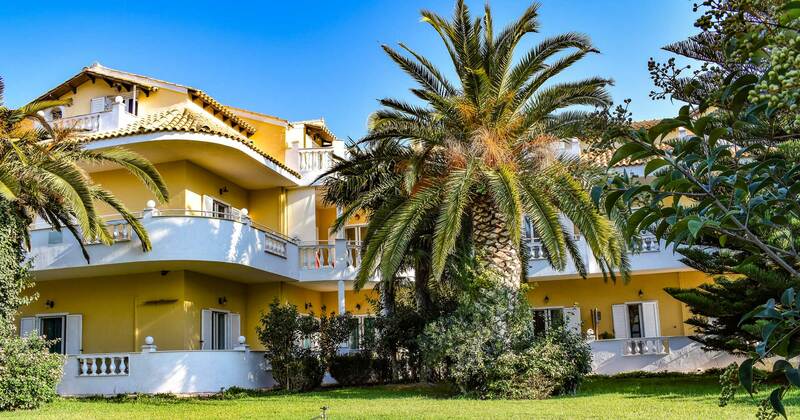 Each apartment is spacious, with a modern thermostatic air conditioning unit, rain shower, modern kitchen and a balcony with some selected rooms having sea views. 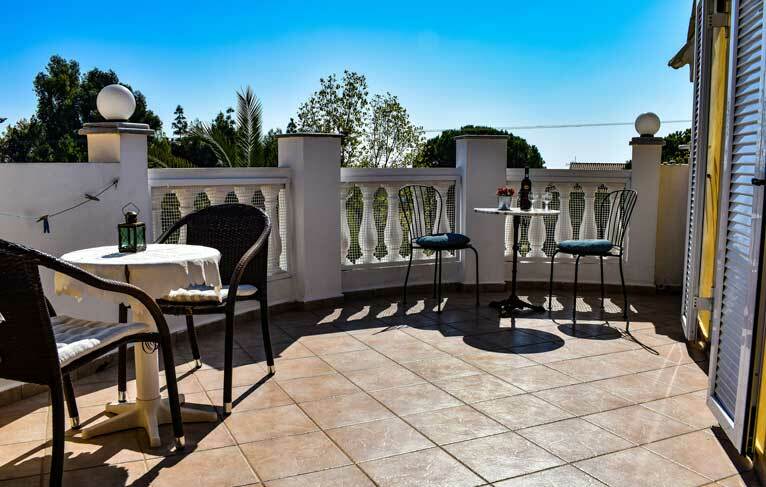 Your balcony will overlook our immaculate landscaped garden, with tropical plants, and trees. We have hammocks, loungers and a selection of books for you to read while you relax. If you fancy eating outside with friends, feel free to use our brick barbecue and outdoor dining area. 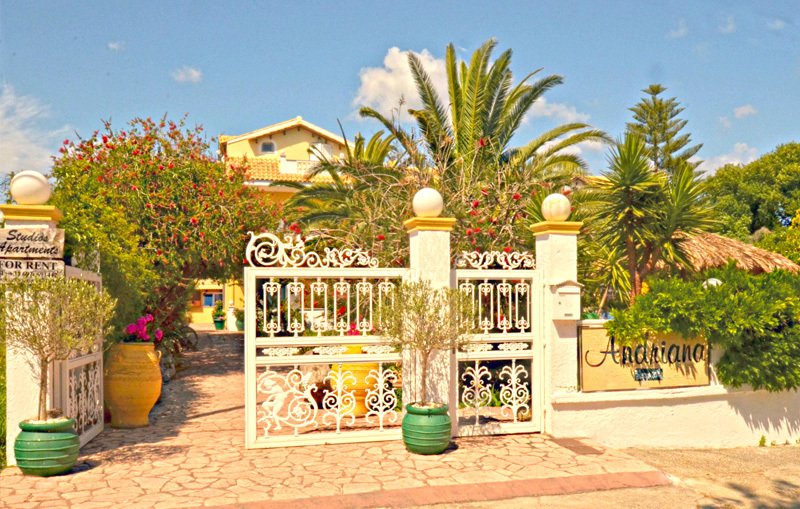 Andriana Corfu guests benefit from our wealth of cooperate partnerships within the resort and on the Island. 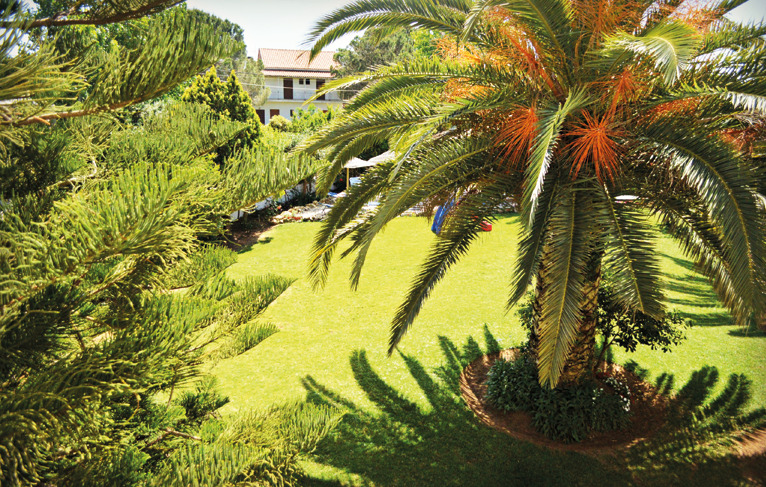 If you are coming with family or just want to lounge by the pool, guests can enjoy access to our neighbouring hotel's pool, pool side bar, sun loungers and children's pool. 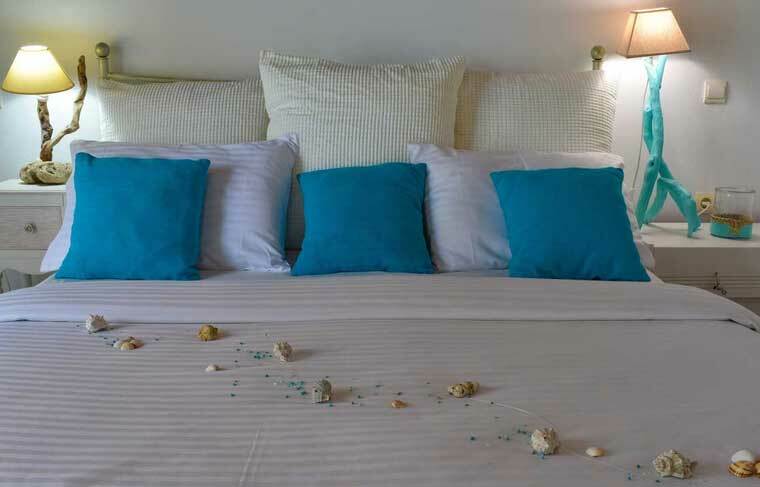 We can also offer in house beauty treatments, arrange water sports, boat rental and day trips. 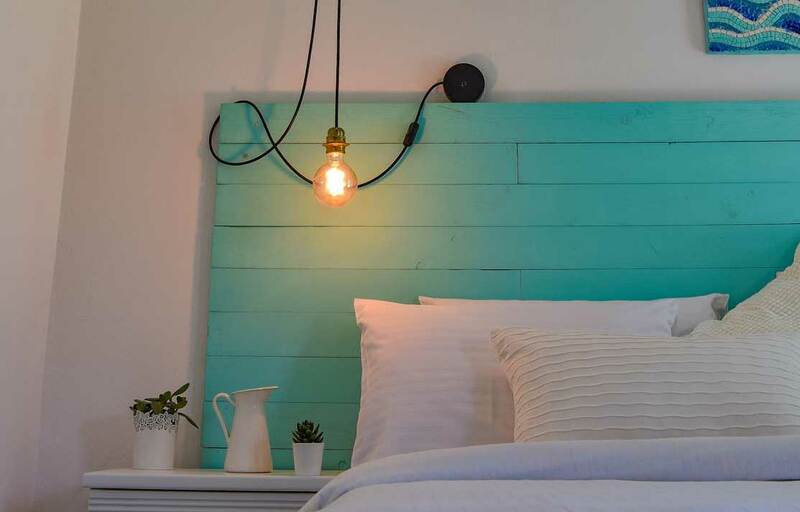 We understand that safety for you and your family is important for you to relax, so we make sure that we keep impeccable safety standards, including integrated fire alarm systems, electrical appliances tested regularly and access to 24 hour personal and medical assistance. We provide free unlimited wifi in our reception area, and we have ample parking for guests. Our studio apartments can easily accommodate up to 2 people and they also have a spacious furnished balcony with either a sea view or a garden view. 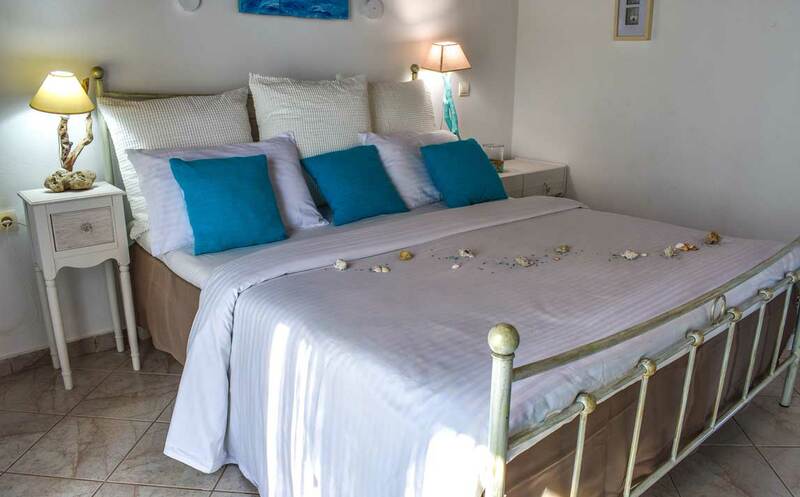 Our 3 bed apartments can easily accommodate up to 3 people and they also have a spacious furnished balcony with either a sea view or a garden view. 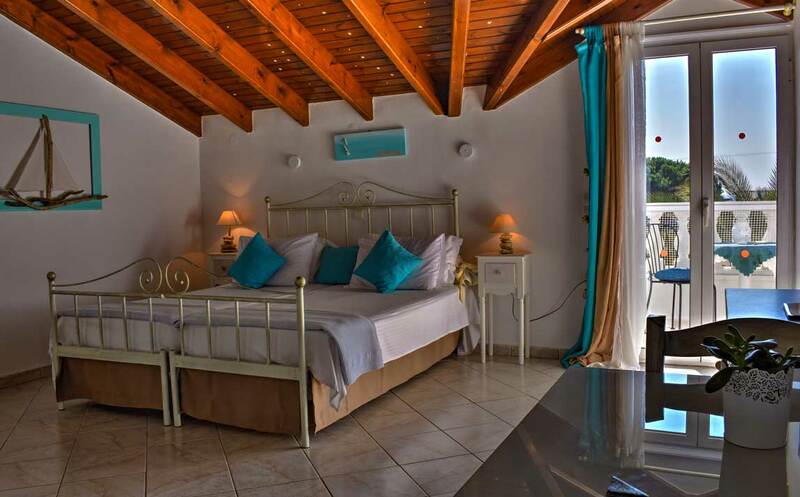 Our 4 bed apartments can easily accommodate up to 4 people and they also have a spacious furnished balcony with either a sea view or a garden view. If you need any help or advice you can call and speak to a member of our team. You can also get in touch with us by sending us an email. 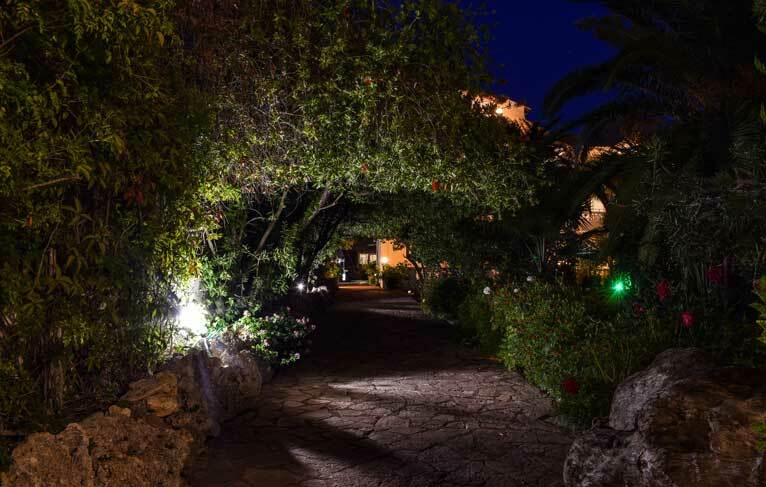 We'd love you to come and experience Corfu, so please come and visit us.